Where do we find our strength? Not in the mirror, not in our wallet, and certainly not in the world. In Paul's letter to the Ephesians, he reassures believers that their identity is not found within themselves but in Jesus! We are God's children made one in the body of Christ and given the greatest defense against the devil's schemes. The armor of God! 2. 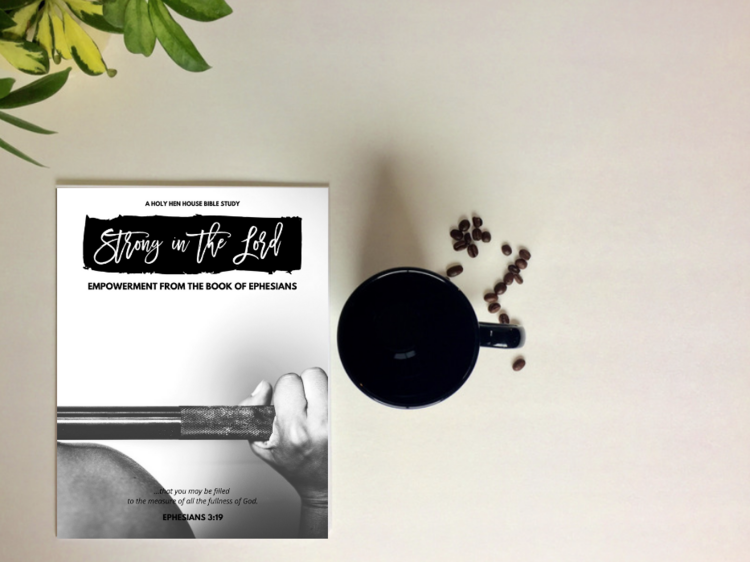 Pick up your copy of Strong In The Lord in our shop as a booklet or printable. In this six week study (September 17 - October 26th) we will read Paul's letter to the Ephesians, dig deeper in other supportive Scriptures, apply the text to our lives, write key passages out, and pray! We may feel afraid, anxious, or weak in our daily battles but through Jesus we can stand STRONG IN THE LORD. He alone equips us. He alone empowers us. He alone saves us! Shop Our New "Everyday Life" Collection! Save 10% with the code EVERYDAY10 on all the new items! 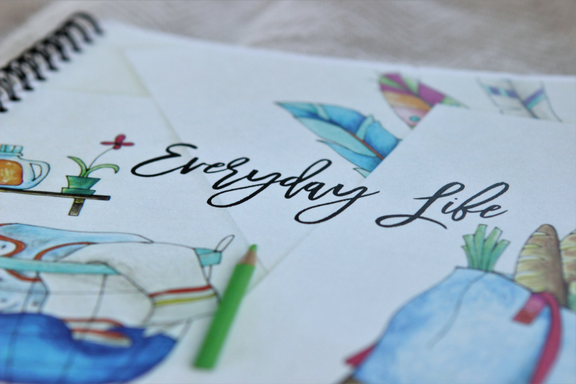 The "Everyday Life" devotional coloring book, designed by Corissa Nelson Art, is a collection of a few of her favorite things: God's Word, pictures, coloring, and the beauty of everyday life. "It is my hope that having a coloring page and section of Scripture paired together will give you an opportunity to take time in the midst of chaos to quietly meditate on the comfort and wisdom God has for us. As a visual person, matching together pictures with words helps me retain the passages and also relax. I hope this book can be that for you too - that place to sit and be still. 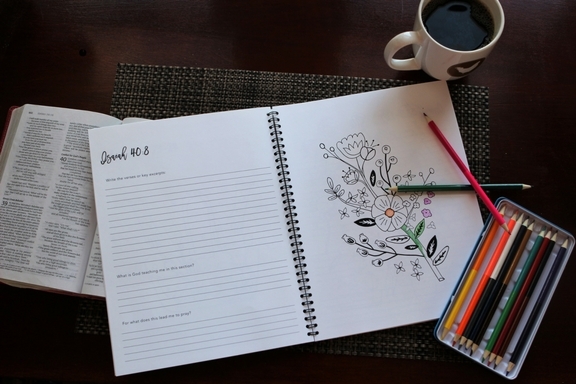 I've included a journaling section alongside each coloring page so that you can jot down the devotional thoughts you have as you color, think, and pray." The 40 page book is printed on thick paper and is spiral bound so that you can get artsy (if you like!) and use colored pencils, gel pens, or even paint with watercolors. We look forward to this summer as we slow down and savor God's Word in the midst of "Everyday Life." Join our Facebook online Bible study from June 11th to August 17th! Everyday comes with its own unique blessings and challenges. Be encouraged that no matter what your battle is that there is hope! Through Jesus we are already victorious! We pray that our Warrior mug will be a reminder of God's provision and strength in each and every trial. Big or small. We need not worry. Through Christ, we are warriors! 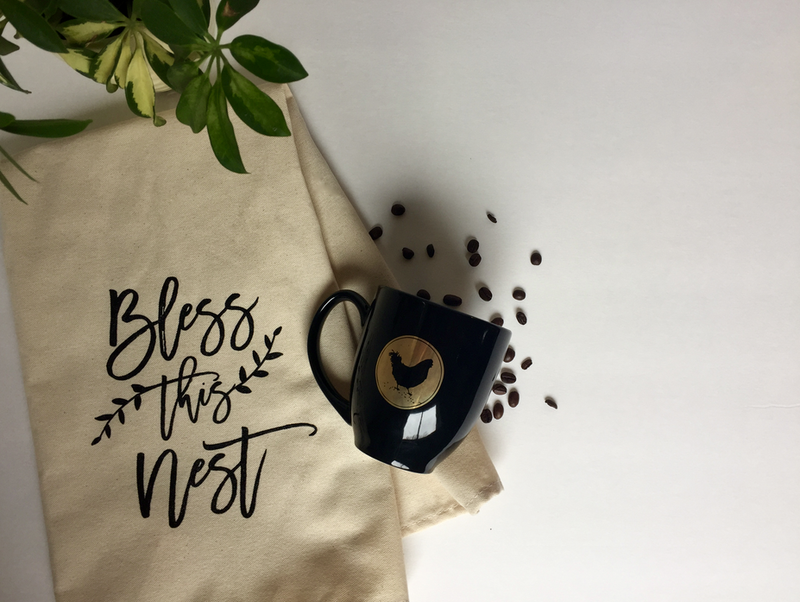 Our "Bless this Nest" tea towel is a mini prayer for God's grace in your house. A great gift for a new home-owner or married couple! Great for wiping up spills or counters. Made of durable 7-oz cotton canvas for long-lasting use. This fun hen silhouette necklace is hand stamped with the word HOLY. Necklace comes in three colors: copper, bronze, and gold. "For our struggle is not against flesh and blood, but against the rulers, against the authorities, against the powers of this dark world and against the spiritual forces of evil in the heavenly realms. Therefore put on the full armor of God, so that when the day of evil comes, you may be able to stand your ground, and after you have done everything, to stand." "Strong in the Lord" is a six week Bible study created by Amanda Rose. In it we read Paul's letter to the Ephesians, dig deeper in other supportive Scriptures, apply the text to our lives, write key passages out, and pray! We are praying for you, sister in Jesus. Not by your own strength. But His!